You are responsible for your self , your choices, your actions and your experience. 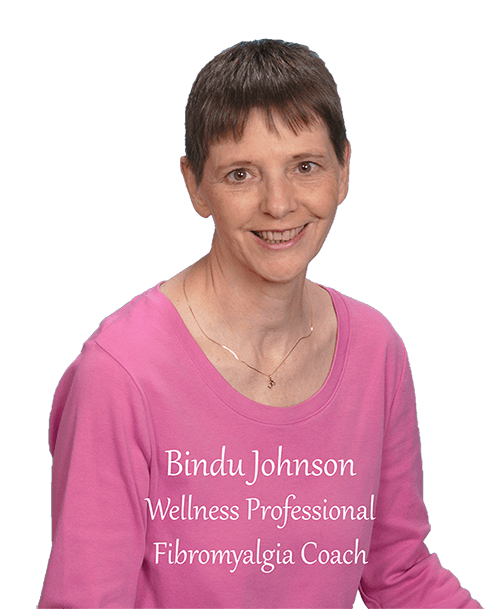 By entering this website or purchasing or using our blog, e-mails, videos, social media, programs, products and/or services, from or related to Bindu Johnson, Integrative Wholeness and Beyond Fibromyalgia, you are agreeing to accept all parts of this Disclaimer. Thus, if you do not agree to the disclaimer below, STOP now, and do not use our website, blog, e-mails, videos, social media, programs, products or services or anything you have purchased or experienced through us (collectively “Website, Programs, Products and Services”). For Educational and Informational Purposes Only. The information provided in or through our Website, Programs, Products and Services is for educational and informational purposes only and is made available to you as self-help tools for your own use. When using any material obtained from or through Integrative Wholeness, Beyond Fibromyalgia or Bindu Johnson, whether through in-person, phone, Skype, webinars, teleseminars, webcams, social media, and otherwise in a variety of settings, including but not limited to individual and/or group programs, classes, workshops, events, retreats, seminars, consultations and/or trainings, you acknowledge that we are supporting you in our role exclusively as providing educational services. Not a Substitute for Medical Advice. The information provided in or through our Website, Programs, Products and Services is not intended to be a substitute for professional medical advice, diagnosis or treatment that can be provided by you or your own Medical Provider (including doctor/physician, nurse, physician’s assistant, or any other health professional), Mental Health Provider (including psychiatrist, psychologist, therapist, counselor, or social worker), registered dietitian or licensed nutritionist, or member of the clergy. Not Holding Self Out. In this capacity as a wellness educator, I am not holding myself out to be a Medical Provider (including doctor/physician, nurse, physician’s assistant or any other health professional), Mental Health Provider (including psychiatrist, psychologist, therapist, counselor, or social worker), registered dietitian or licensed nutritionist, or member of the clergy. Rather, I serve as a trainer, educator, coach, mentor and guide who provides wellness education and learning opportunities. Consult Your Physician or Health Care Provider. Our intent is NOT to replace any relationship that exists, or should exist, between you and your Medical Provider or Mental Health Provider. You and your clients should always seek the advice of your/their own doctor/physician, nurse practitioner, physician’s assistant, Mental Health Provider, or another health care professional regarding any questions or concerns about your/their specific health situation. We advise you to speak with your own Medical Provider or Mental Health Provider before implementing any suggestions obtained through our Website, Programs, Products and Services including but not limited to exercise, lifestyle, weight loss, food, vitamins or supplements; engaging in an elimination diet, detox or cleanse; meditation or deep breathing exercises; or participating in any other aspect of a weight loss, healthy eating, exercise and/or lifestyle program. You shall not disregard professional medical advice or delay seeking professional advice because of information you have read on this website or received from us. You should not stop taking any medications without speaking to your Medical Provider and/or Mental Health Provider. If you or your clients have or suspect that you or they have a medical problem, you are advised to contact your/their own Medical Provider or Mental Health Provider promptly. Personal Responsibility. Our Website, Programs and Services aim to accurately represent the information provided. You are acknowledging that you are participating voluntarily in using our Website, Programs and Services, and you alone are solely and personally responsible for your results. You acknowledge that you take full responsibility for your health and wellness, and for your own health, life and well-being, as well as the health, lives and well-being of your family and children (where applicable), for all decisions now or in the future. No Guarantees of Any Kind. Our role is to support and assist you in reaching your own wellness goals, but your success depends primarily on your own effort, motivation, commitment and follow-through. I cannot and do not guarantee that you will attain a particular result, and you accept and understand that results differ by each individual. Each individual’s health and wellness success depends on his or her background, dedication, desire, and motivation, and a whole host of additional factors. As with any health and wellness related program or service that you purchase, your results may vary, and will be based on many variables, so therefore no guarantees can be made. There can be no assurance as to any particular health and wellness outcome, based on the use of our Website, Programs or Services. You agree that we are not responsible for the success or failure of your wellness decisions, or any other result of any kind that you may have as a result of information presented to you through our Website, Programs and Services. You are solely responsible for your results. Assumption of Risk. There are sometimes unknown individual risks and circumstances that can arise during use of our Website, Programs, Products and Services that cannot be foreseen that can influence or reduce results. We are not responsible for your personal choices or actions before, during or after use of our Website, Programs, Products and Services. You understand that any mention of any suggestion or recommendation on or through our Website, Programs, Products or Services is to be taken at your risk, with no liability on our part, recognizing that there is a rare chance that illness, injury or even death could result. You accept full responsibility for the consequences of your use, or non-use, of any information provided by us through any means whatsoever use or non-use of any information obtained through you or our Website, Programs or Services. Your or non-use, of this information is at your own risk, and you absolve us of any liability or loss that you, your family and/or children or any other person may incur from your or their use or non-use of the information provided. No Liability and Release of Claims. We will not be held responsible or liable in any way for the information, products or materials that you request or receive through or on our Website, Programs or Services. In no event will we be liable to you or to any party for any type of direct, indirect, special, incidental, equitable or consequential damages for any use of or reliance on our Website, Programs and Services, or on those affiliated with us in any way, and you hereby release us from any and all claims, including, without limitation, those related to personal injuries, accidents, misapplication of information, or any other loss, physical or mental disease, condition or issue experienced by you, or otherwise, even if we are expressly advised of the possibility of such damages or difficulties. We do not assume liability for accidents, delays, injuries, loss or damage due to any act or default of any company, organization, or person engaged in rendering this Website, Program or Services in any way. In the event that you or your clients use the information provided through our Website, Programs or Services by us or affiliated with us, we assume no responsibility. We will not be held responsible in any way for the information that you or your clients request or receive through our Website, Programs or Services. By using our Website, Programs and Services, you and your clients fully and completely hold harmless, indemnify and release us and any other of our employees, shareholders, directors, staff, consultants, agents, or anyone affiliated with us from any and all liability, damages, causes of action, allegations, suits, sums of money, claims and demands whatsoever, in law or equity, that you or your clients ever had, now have or will have in the future against us, arising from your or your clients’ participation in or in any way related to our Website, Programs and Services, unless arising from the gross negligence on our part. No Warranties. WE MAKE NO REPRESENTATIONS OR WARRANTIES OF ANY KIND, EXPRESS OR IMPLIED, AS TO THE OPERATION OF THIS WEBSITE OR THE INFORMATION, CONTENT, MATERIALS, PROGRAMS, PRODUCTS OR SERVICES INCLUDED ON THE WEBSITE. TO THE FULL EXTENT PERMISSIBLE BY APPLICABLE LAW, WE DISCLAIM ALL WARRANTIES, EXPRESS OR IMPLIED, INCLUDING IMPLIED WARRANTIES OF MERCHANT ABILITY AND FITNESS FOR A PARTICULAR PURPOSE. WE WILL NOT BE LIABLE FOR ANY DAMAGES OF ANY KIND ARISING FROM THE USE OF THIS WEBSITE OR OUR PROGRAMS, PRODUCTS AND SERVICES. Accuracy. Although every effort is made to ensure the accuracy of information shared on or through our Website, Programs, Products and Services, the information may inadvertently contain inaccuracies or typographical errors. We are not responsible for the views, opinions, or accuracy of facts referenced on or through our Website, Programs, Products and Services or those of any other individual or company affiliated with us in any way. Every effort has been made to present you with the most accurate, up-to-date information, but because the nature of health care, scientific, and technology research is constantly evolving, we cannot be held responsible for the accuracy of our content.